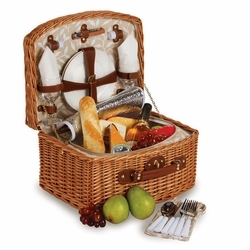 The creme de le creme of Picnic Sets! 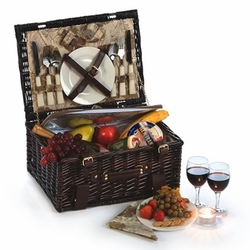 For elegant picnics or outdoor events, enjoy full service, al fresco dining with our Exeter 4 person picnic set on wheels. 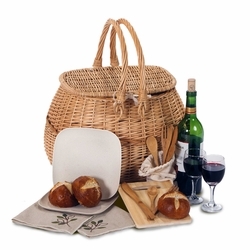 This top of the line picnic set offers a complete service for 4 with deluxe quality serving ware. The center drawer pulls out to feature a generously sized, fully insulated thermal foil lined section that can accommodate either hot or cold foods. 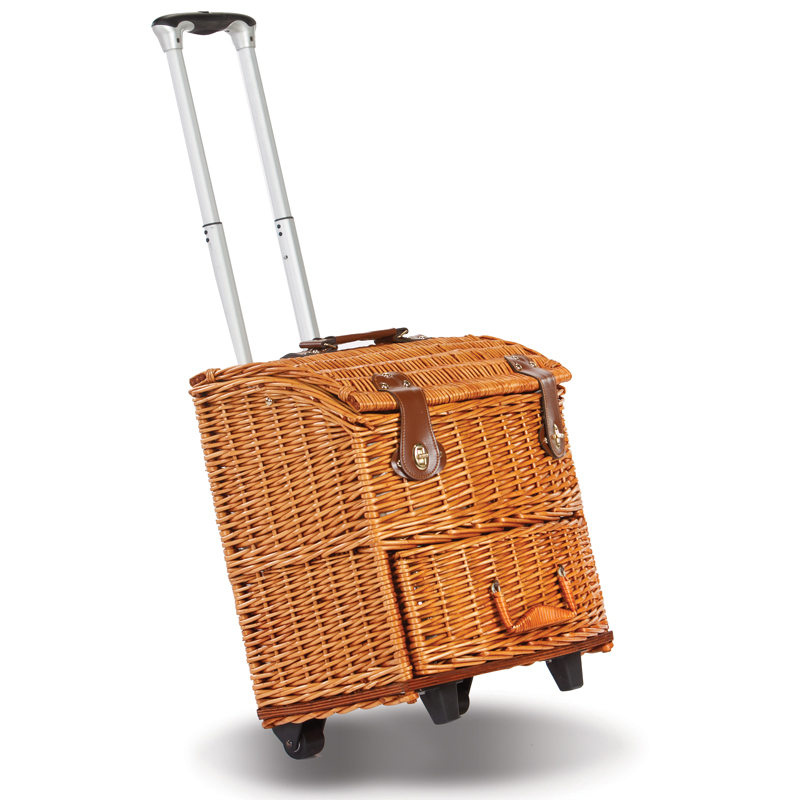 The Exeter features a durable frame and wheels along with a retractable pull handle for easy transporting to your outdoor gatherings. 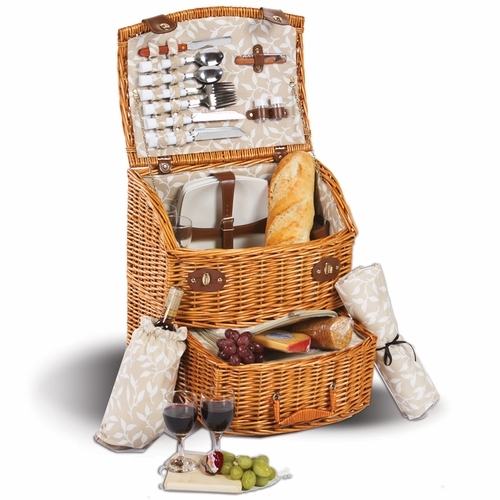 The extra long, 36 inch pull handle allows for a comfortable pull position for picnic lovers of any size. 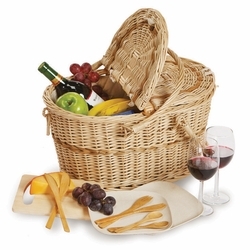 You may add a family logo, corporate logo or personalization option to this basket with a minimum purchase quantity of 12. Artwork fees may apply. If you are interested in this option, please contact us for more information.